You say peanut butter and I say jelly. You say pancakes and my mind goes to syrup. But I say meatballs and my mind starts obsessing over tomato sauce. Nothing motivates a person than the last minute. The tomato season is coming to a close and I decided that this was the year that I would make my own tomato sauce; and nothing motivates quite like waiting to the last minute – or in this case, the last days. So down that hole of rabbits I descend. Everyone seems to have their own idea about what magical ingredients make the best tomato sauce of all-time, but the one thing everyone can agree on is that the San Marzano is the prized tomato for sauce making. 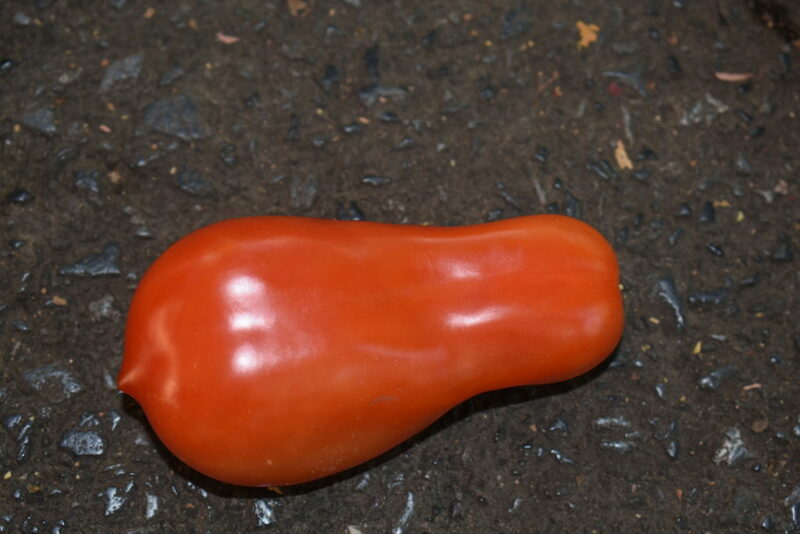 Below is a quick overview of this famous tomato. The San Marzano is longer than the typical Roma variety. If you got your school shoes at Nordstrom’s when growing up, you would also get a Nordy balloon. These tomatoes remind me of a red Nordy in shape. 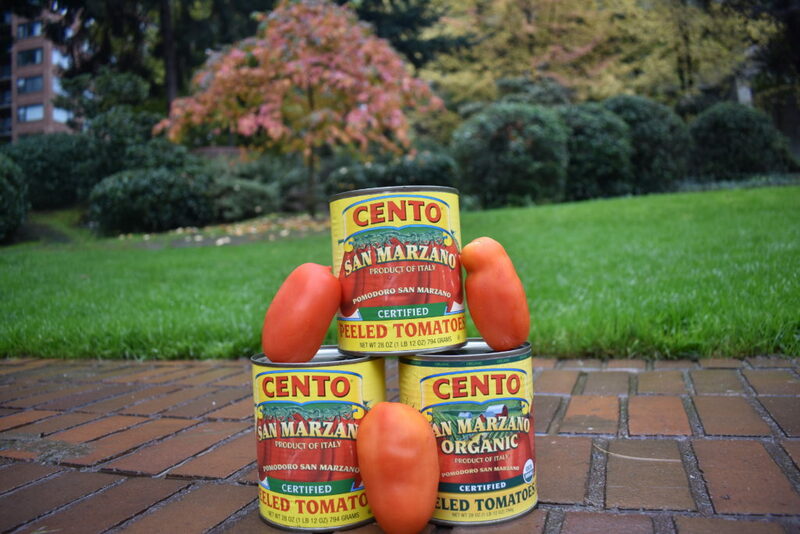 Every can of tomato wants to be a San Marzano. 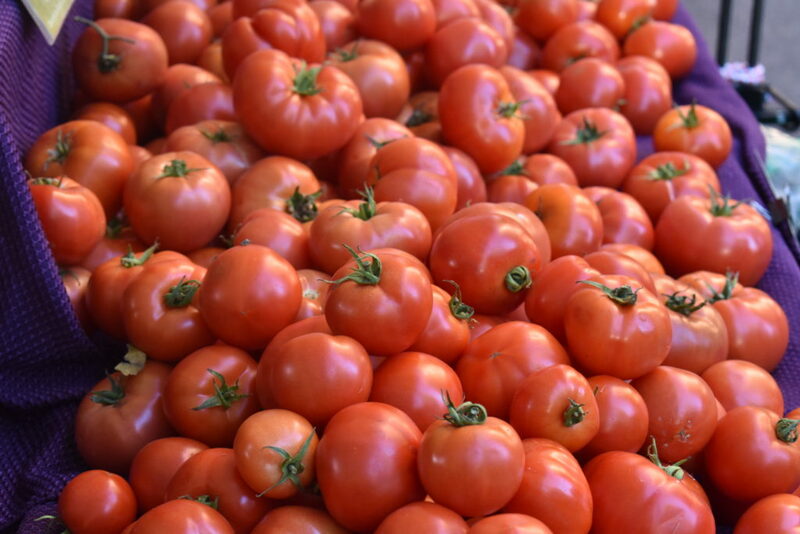 Since only so many tomatoes can be grown in that region and are imported worldwide, this makes them highly sought after and desired. Instead of staring at and inspecting olive oil bottles at every grocery store in town like I did in late summer, I am instead examining cans of tomatoes with a critical eye. 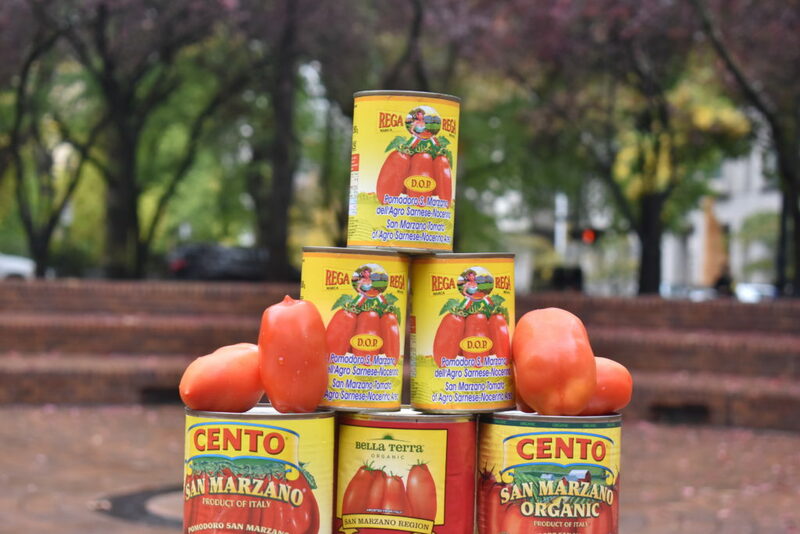 There are cans of tomatoes from Italy, California, and the new kid on the block, at least for me, the “San Marzano Style”. 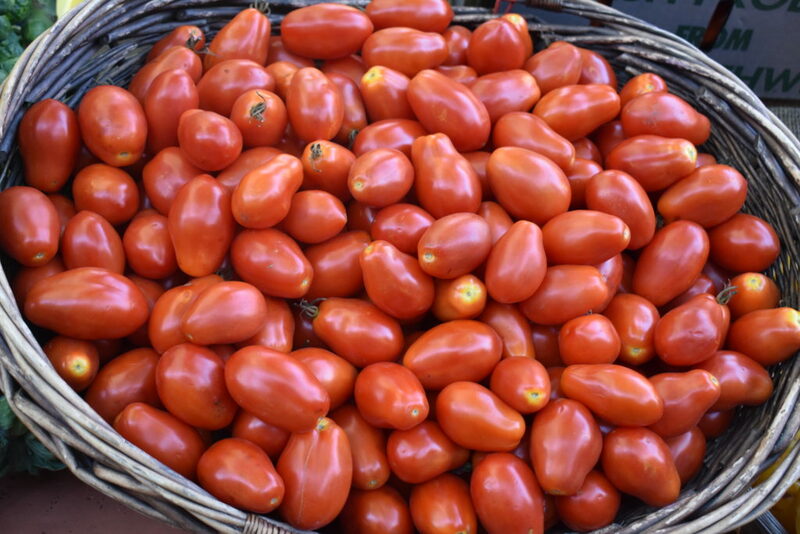 What is quote San Marzano Style unquote, you may be asking yourself? It definitely was new to me. After comparing the labels of many a can the difference appears to be that the additional step is packing the San Marzanos in basil. Yep, basil makes them “San Marzano Style”. Perhaps an interesting marketing ploy as well. Of course now I was curious where they got the idea that basil makes them more like the real deal? Granted, some San Marzanos are packed with basil and others are not. A curious observation for sure – the things one learns when one reads labels. Olive oil is not the only food item from Italy that is commonly fobbed off for something it’s not. The San Marzano Tomato and Modero Balsamic Vinegar are just as susceptible to fraud. To ensure that the you are getting a true tomato that has grown at the foot of venerable Mount Vesuvius, in that rich volcanic soil, there needs to be the letters D.O.P. on the can. As the site “Walks of Italy” so aptly states that D.O.P. is short for Denominazione di Origine Protetta which translates to “Protected Designation of Origin”. If that is designation is not on the label who knows where that tomato was grown and picked. What is BPA and why should I be concerned about it? BPA is short for bisphenol A, a synthetic estrogen used to coat cans and is present in some plastics, which can seep into the food contained in said cans and plastic. I knew that BPA was not a good thing, but had no idea until today that it is an estrogen. 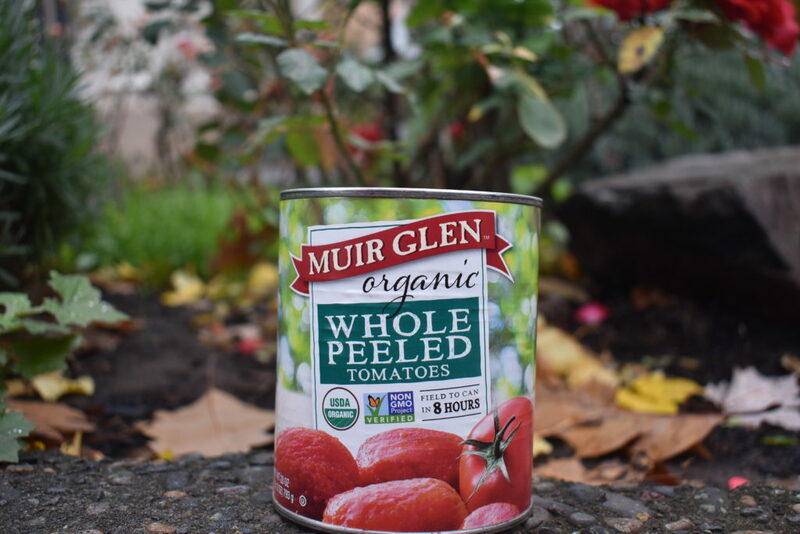 There are several companies that use non-BPA lined cans for tomatoes and it is stamped appropriately to advise the consumer. For more information on this topic I recommend this article from The Environmental Working Group. Spring Hill Farms who can be found at the PSU Farmers Market every Saturday grows and sells the San Marzano style tomato, which I used to successfully make four variations of sauce. Last weekend the Farmers Market at Portland State University on Saturdays had a juxtaposition of produce; strawberries, chestnuts, blueberries, cranberries, raspberries, tomatoes and squash. I am thinking that tomorrow/today might be our last hurrah with the amazing abundance, since the rainy season seems to be upon us, but yet it is still warm; so, it’s really anyone’s guess; the weather-people certainly don’t seem to be able to predict it anymore. Love to hear if you have any questions regarding canned tomatoes. Another good read! Thank you, Aimee!